On the 23rd of June the polls open across the country to decide on whether the UK should leave or remain within the European Union (EU). unCOVered breaks the upcoming EU referendum down into simple terms. What is the EU Referendum and why is there a Referendum? When the Conservative party became a majority party in the 2015 general election, one of David Cameron’s (UK Prime Minister) promises was to hold a referendum on the United Kingdom’s membership within the European Union, which is what has led up to the upcoming EU referendum. It’s also worth noting, that this not the first time an EU referendum has been held within the UK, one was previously held in 1975 where the decision to remain within the European Union was upheld as a result of the votes cast. 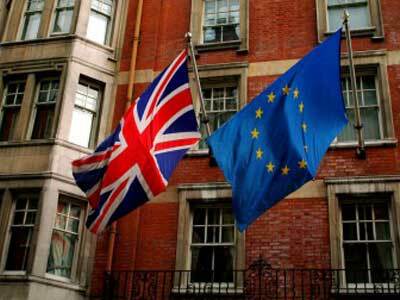 The European Union (EU) is an economic & political union, consisting of 28 countries including the United Kingdom. Some cornerstones of the EU are the Schengen Agreement, the Single Market & the Euro currency. What will the question be on polling day? Who are the official campaign groups for the EU Referendum? In one corner is the Britain Stronger In Europe campaign and in the other is the Vote Leave campaign. The two groups have been campaigning across the UK to get people’s interest and stance on the upcoming referendum. To get a taste of what the UK has been saying, the BBC have a cool opinion poll tracker which can be found here. If you’re not already on the electoral register, then you can register to vote here but hurry as registration closes to vote in the referendum on Tuesday 7th of June. You can vote in the EU Referendum in 3 ways: Postal vote, by proxy (where someone you trust votes on your behalf) or in person. More information about postal votes and proxies can be found here. The polling stations open on Thursday 23rd of June between 7AM and 10PM across the country and you can find your local polling station here. The Electoral Commission has sent out an impartial guide explaining both campaign groups stances on the referendum, you can also visit the campaign websites of the Britain Stronger In Europe campaign and the Vote Leave campaign to gain further information. With all political elections and referendums it’s always a good idea to make sure you register and vote on the day that polls open to ensure that your voice is heard. This is an important referendum so do take up the opportunity to read up on both sides of the referendum to help your decision making. The results from the EU referendum are expected to be announced a day or two after the polling stations close.